Hybrid cars - we know about them and we talk about them; but who actually goes ahead and buys one? Well, putting your money on something, like the Toyota Camry hybrid or the new Volkswagen Passat GTE, is not a decision, you can make easily, especially in a country like India, considering the price, you have to pay for it. Hybrid cars and plug-in EVs were never the kind of vehicles that were frowned upon; but no one really wanted to be the first one to bite into the apple. Frankly, even Adam and Eve needed some coaxing, before they bit into it; we after all are mere mortals. It's not an easy task to convince people that plug-in hybrids or plug-in electric cars are the future; and we should probably embrace it sooner than the others. Look at Norway, for example, they're already created a plan, according to which, by 2025, all the cars sold in the country will be electric cars. Now, I cannot compare the population of India, with Norway, or for that matter even the economy; but, it's not that there is no one putting our foot forward. This is however not to say that Indians haven't warmed up to the idea of hybrid cars, a case in point - the success of the Toyota Camry hybrid. The company has got a great response to the car and the hybrid contributes to more than 70 per cent of the sale. The Government of India too has responded with the FAME incentive, making electrical cars and plug-in hybrids cheaper; thus trying their best to nudge sales; yet, at the same time, it has done nothing to improve infrastructure needed by such cars. 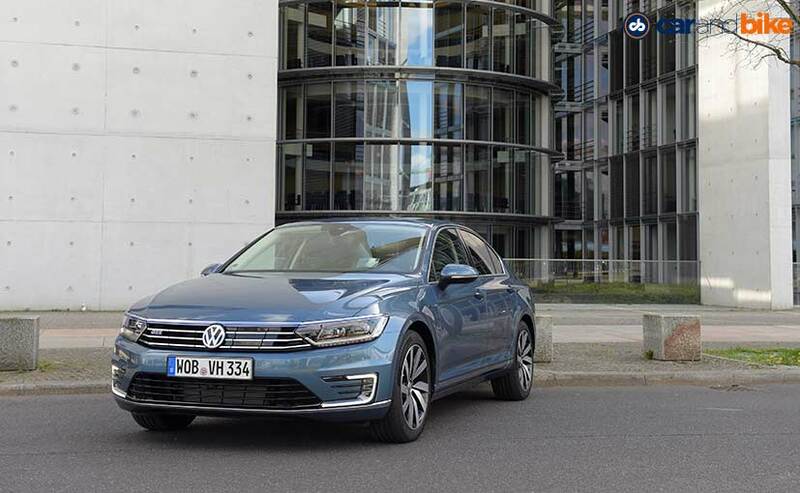 It is at such a time that Volkswagen plans to bring in the Passat GTE to India. We are eagerly awaiting the new-gen Passat here, especially after we drove the new Skoda Superb - the GTE plug-in hybrid will add to that line-up. We got a chance to get behind the wheel of the car and drive it on the highway as well as through some very heavy city traffic conditions. But, let's start at the very beginning, because it's a very good place to start and, though I would have wanted the next line to rhyme, I will gladly skip that part. Push the button and nothing happens; well you're made to think that this is because it starts in the electric mode, unless and until it's out of juice or it's too cold to get the engine started; only then does the petrol motor interfere to start the car. It's as quiet as a mouse, though it doesn't look that way. 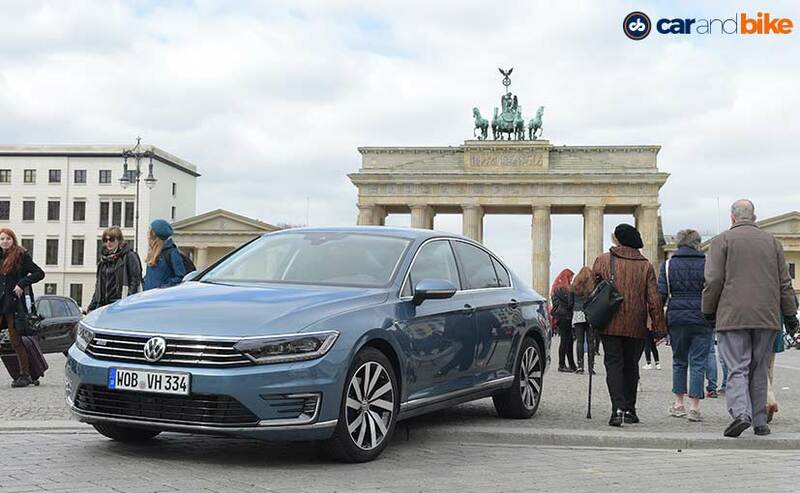 The Passat GTE is based on the new gen Passat B8 model and so gets the same broad smile on its face and imposing presence on the road. There are some stark differences though that differentiate the plug-in hybrid from its petrol/diesel cousin. The first one being the blue strip that runs from on top of the chrome grille, which speaks about its hybrid genes; so yes, a bit similar to Toyota's tactics of differentiating its hybrids from the others. The second one is the repositioning of the day time running LEDs. While in the regular car, we see them integrated with the headlamps, the GTE comes with 'C' shaped ones, in the lower section of the front bumper. The third are the new alloy wheels and the fourth the blue brake callipers. There's some GTE badging around too; just in case you don't notice any of the aforementioned changes. 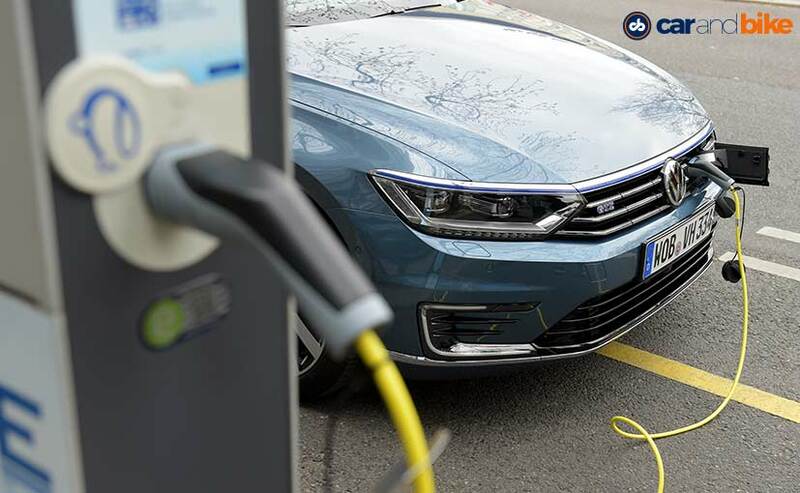 There are a bunch of changes inside the cabin as well and you'll appreciate this new-gen Passat for the plug-in hybrid specific cabin it gets. This includes plug-in hybrid-specific instruments, which reflect the dual propulsion, through an energy gauge and various LEDs - graphics included. Yes, the look of the instrument cluster is no different from the one we see on the Audi TT or in fact the Tiguan; but the information displayed of course differs. It also gets a flat-bottomed steering wheel, with blue stitching (which again reminds you that it's a plug-in hybrid), an altered gearshift knob, high-gloss black trim applications and new seat trims. 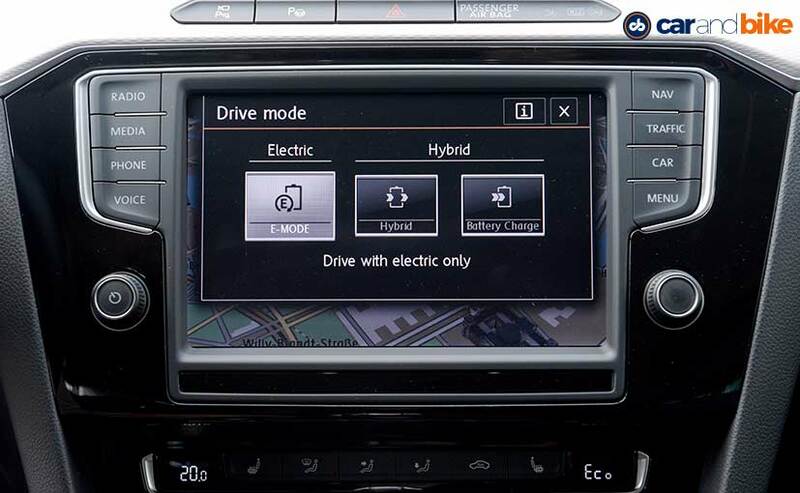 The central-mounted touchscreen also gives you a chance to check out more information related to the hybrid system operation, such as the energy flow, at any particular moment; and yes, it's pretty cool. So, all these changes to the car make it stand out against its petrol/diesel cousins; but the major change is of the heart; and it gets two of those. It's actually two cars fused into one. 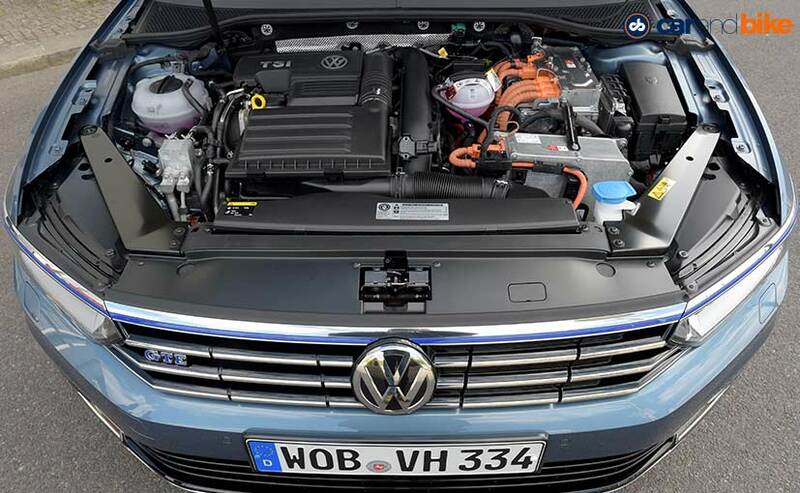 You have the more practical, zero emission, eco-friendly electric car, on the one hand; while on the other, there's a refined 1.4-litre TSI petrol engine, which is good on fuel efficiency and power. The battery is a separate entity and you can charge it too. The charging time, on a regular 240V outlet, is 4hr 15min; but the company also provides the option of a wall-box to customers, which generates 360V and charging time is reduced to just 2hrs 30mins. The range, in all electric modes, is about 50 km, on a full charge; and so, if you live even 30 km from your workplace (which also has the option of a charging point), you could actually be driving to and fro the entire week, without ever taking help from the petrol powertrain. And yes, you can do speeds of up to 130km/h in all-electric modes, so it's not slow either. But, when I took over, the electric range showed 37 km; but it was just after 23 km that the electricity ran out, though I was extremely light on the throttle, which is when the 1.4-litre petrol engine kicked in and the change in propulsion was seamless. According to the folks at Volkswagen, it's an electric car with GTI kind of performance and yes it sounds brilliant, but is it? Hit the GTE button next to the gear lever and you'll know. The combined strength of the petrol and electric powertrain is at your disposal and the throttle gets more aggressive, so do the steering and gearbox settings. There's 215bhp, at your disposal (154bhp from the petrol and 61bhp from the electric), and 400Nm of torque to use. In fact, in the GTE mode, there is bit of grunt too, from the engine, which adds to your feeling of driving a sporty car. It's on the open road that you get to understand, how brilliant it really is. It's quick and the rapid throttle response makes you want to push the car even more. The electric motor provides a great boost, in power, while the petrol holds fort, with a strong mid-range. But, considering that there is added weight of close to 280 kg, does it still have what it takes to corner? Yes, it does, as the uprated suspension makes it a lot more nimble and helps in providing great body control. But, it's the brakes that stuck out, like a sore thumb. They're not bad at all; but when the kinetic energy recuperation system began to cycle, there was a bit of sponginess, in the initial travel, and this made me a little uncomfortable. Yes, you charge the batteries, with a technology, that helps it get converted into usable power, so it's all for your benefit; but one can't really ignore the flaw. You can, however, slot the gear lever into the B (not boost but Brake) programme, to increase the resistance of the recuperation. So the car brakes for you. You see a red light from a distance, switch it into the B mode and you can feel the brakes go on; and viola, you have stored some electricity, in your batteries. Besides this, what also stands out is the NVH in the cabin. It's so silent, that you probably could hear a pin drop (not really, of course); but yes, trust me, when I say that while driving, you are at your serene best. The ride quality and the silent cabin just calm you down and you start driving that way too. You can push the car to its limit, but you don't; and this stark change in my nature brought about a revelation. 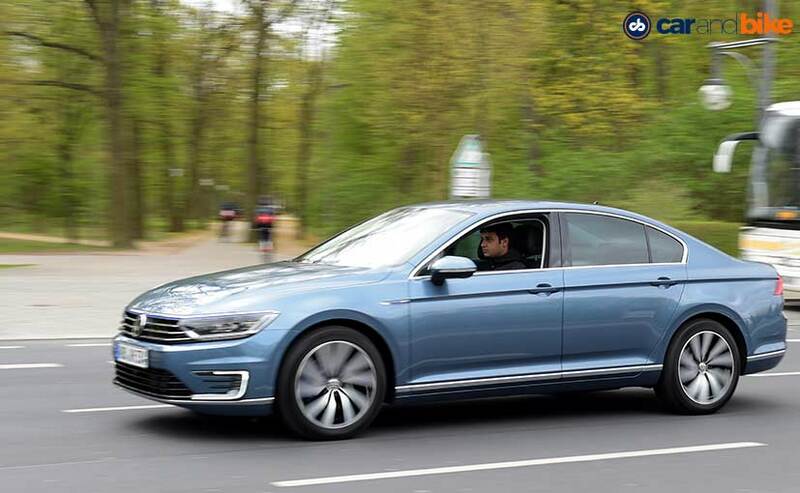 If one is undergoing anger management therapy or even a regular road rage offender, well, buy the Passat GTE, it'll calm you down, in a jiffy, and it's the best therapy, you'll get, for a one-time payment. 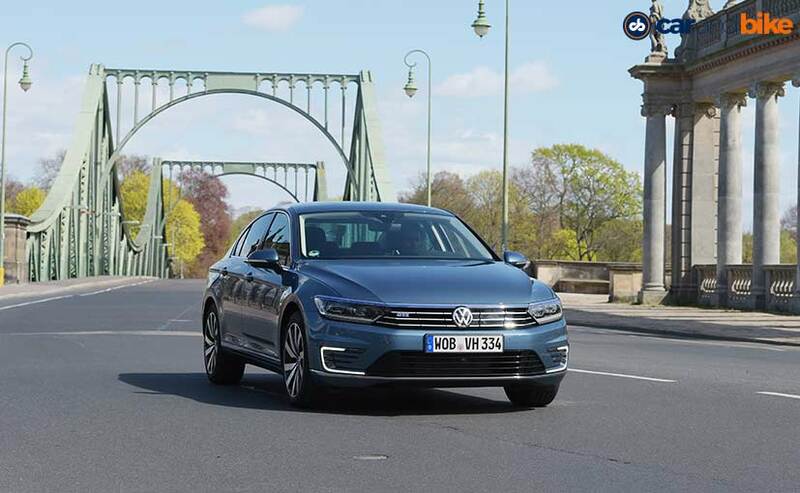 Volkswagen plan to bring the Passat GTE to India, this very year; and it'll be the first car, from the German car maker, to be built on the MQB platform, to make its way here. On the price front, it will be pretty steep and in fact more in the ₹ 30-35 lakh quadrant, if they manage to assemble it here. 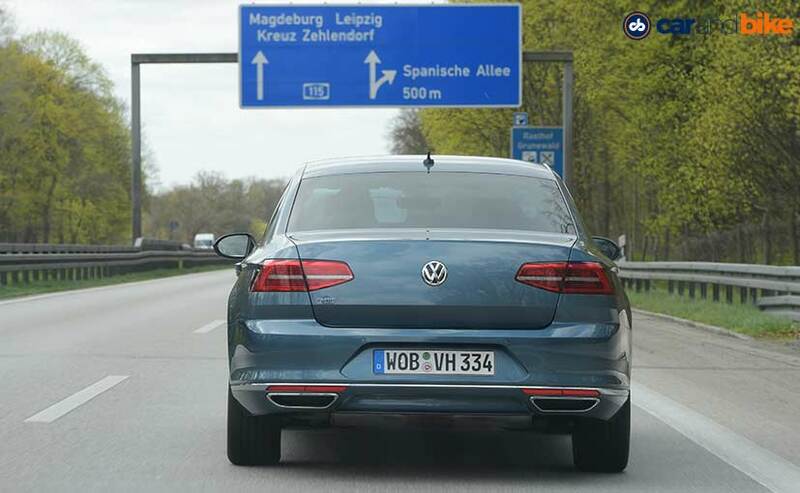 Also, the fact remains that India has hardly any infrastructure, for such cars, and it'll be a huge task for Volkswagen, to educate the masses about such technology and how to put it to use. Also, considering that such cars will be chauffeur driven, the owners and their chauffeurs will have to be educated on that front. So, it's a mammoth task for the company; but it is optimistic about the result, and if this one does work, there'll be a lot more GTEs coming our way.